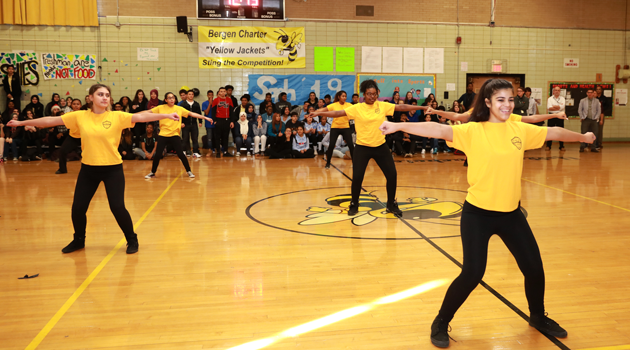 Home NEWS & EVENTS A winter Pep-rally at Bergen High! A winter Pep-rally at Bergen High! The juniors organized a winter pep rally to recognize Bergen High’s winter athletes and to celebrate the end of 2016. Students competed in obstacle courses, worm races, and dance-offs!